Have you ever wanted to possess your very own symbol of American decay? Something that says "we used to build a lot of cars, but now we build less of them?" A real fixer-upper? 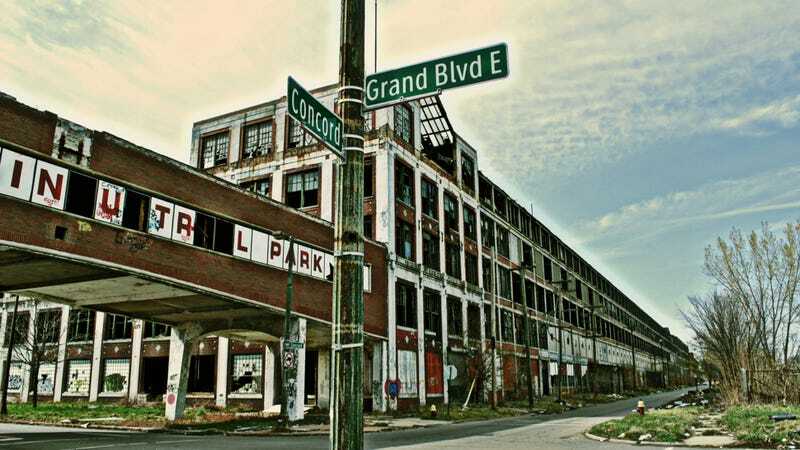 Well now you can, as the old Packard Plant in Detroit is coming up on the auction block, and the bidding starts at just $975,000. The enormous factory was originally built from 1903 to 1911, and pretty purple Packards (you can't say that seventeen times fast, but if you can, upload a video of it to Youtube and send it to ballaban@jalopnik.com where it will go right to my spam folder) like the one below until 1958. "That would be considered a steal in a lot of situations," said David Szymanski, Wayne County chief deputy treasurer. But as he also noted, this is not a normal situation. The plant has long been a victim for scrappers, arsonists, graffiti taggers and vandals. "There are more questions than answers" when it comes to assessing the condition and value of the property, Szymanski said. If nothing else, maybe they can put in another Whole Foods. As Aaron Foley pointed out, it seems to be doing pretty well. What would you put in there?